Lyfthrasyr was founded as a Melodic Black/Dark Metal solo project back in 2002 by songwriter, keyboardist and bass player Aggreash in Karlsruhe, Germany. Influenced by a wide variety of sounds, including Nordic Black Metal, atmospheric movie soundtracks and some classical influences, with piano as one of the key elements, the songs are dark and aggressive, but still melodic and dominated by an all-consuming melancholy. Shortly after Aggreash had recorded his first demo "Beyond The Frontiers Of Mortality" the project took off explosively in the underground, where it found a lot of followers. Several songs immediately reached the metal charts of mp3.de - Germany's most important mp3/newcomer-surface - with the song "Beyond The Frontiers Of Mortality" climbing up to the top of these charts. Early 2004, the extensive search for competent and reliable musicians with the same musical goals ended with Mathar (drums) and Insorior (guitar) joining the band. 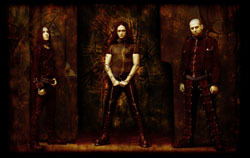 After intensive rehearsals, in summer 2004, they made their successful live performance debut, together with the gothic-metal band Lacrimas Profundere, in the popular Schwimmbad-Musik-Club in Heidelberg. Eventually, Lyfthrasyr started to import the complex keyboard-arrangements into their live performance, so Aggreash could concentrate on his role as singer and bass player on stage. This decision proved right, based on the positive feedback from their dedicated fans and an ever growing fan base. The enormous success and audience acceptance of the following concerts led to Lyfthrasyr's decision to release a full-length album. Aggreash and Insorior recorded and produced "The Final Resurrection" in early 2005, which was perfected with the professional mastering of Mika Jussila at the Finnvox Studios in Helsinki. Lyfthrasyr's hard work in their studio, their dedication and the decision to have Mika Jussila master their debut album has payed out. 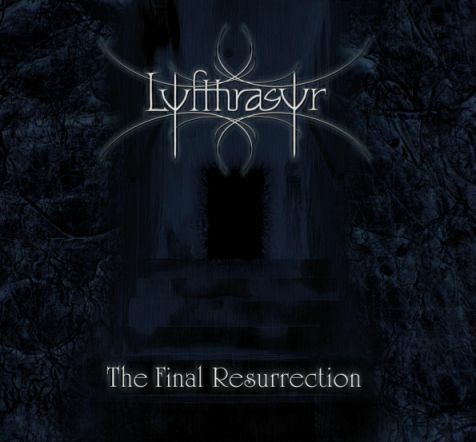 "The Final Resurrection" is equipped with an electrifying and aggressive, but nevertheless melodic and atmospheric sound, that reflects Lyfthrasyr's unique style, while a new dimension is added to the band's sound. After the production of their debut album, Lyfthrasyr attracted the attention of various music magazines and record labels, including the German Metal Hammer, Sonic Seducer or twilight-distribution, which lead to an exclusive label- and distribution-contract with twilight. August 8th 2005 "The Final Resurrection" was released and is now available worldwide. Lyfthrasyr is now looking forward to promote their new album in their up-coming concerts and a tour is planned in the near future. While already working on new songs for the next album, their are ready to bring their music to the masses.